It has long been known that former BlackBerry maker RIM were in trouble as the company lost market share at an alarming rate, but it seems things are improving nicely as following its renaming along with the BlackBerry 10 launch and Z10 release, the company profits or lack of them are not as bad as first feared. The company is quickly expanding the availability of its flagship BlackBerry Z10 smartphone, and it has already achieved a bit of a turnaround according to its most recent financial earnings. As ZDNet are reporting the company has reported a 4th quarter loss of $2.7 billion, which too many won’t seem like good news, but many were expecting greater losses of $2.84 billion. This news comes shortly after the new operating system was launched in the US, which has seemingly got off to a sluggish start in the country. 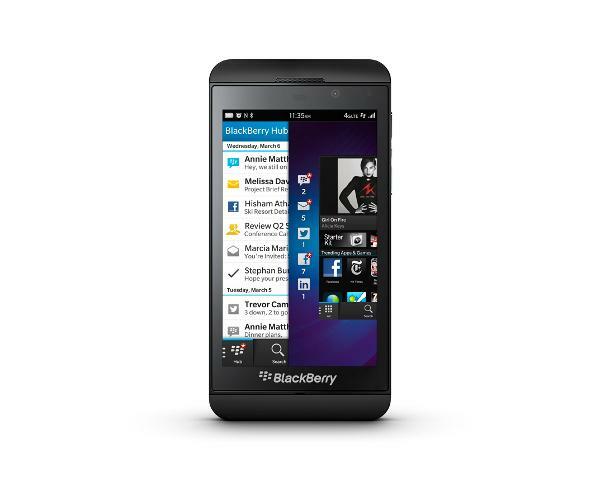 The company’s figures have been helped by improving profit margins with the BlackBerry Z10. The company revealed that it shifted one million BlackBerry 10 handsets during the quarter out of a total of six million smartphones, while it managed to shift 370,000 PlayBook tablet PCs during the same period. The platform has lost some users though, three million altogether with a figure of 76 million globally. It was also revealed that the company has $2.9 billion in cash which is up 38% from the same time last year. The company is expecting to break even in the next quarter and things can only get better as more hardware becomes available on the fledgling platform. Have you jumped on the BlackBerry bandwagon or thinking about doing so? This thing is garbage. Get a windows phone or ios or even android. Not this.